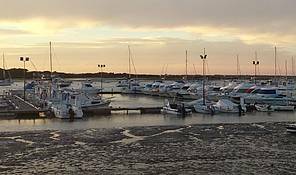 Chiclana has a high potential regarding nautic activities. 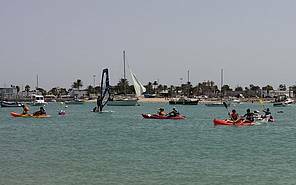 The beach of Sancti Petri, main site for watersports, is one of the most famous areas in Andalucia regarding sailing, windsurf, kayak, diving and sport fishing. The natural harbour is located close to the estuary of the Caño Sancti Petri. Sailing courses for adults and children and canoeing. Since many years various companies offer at the "poblado de Sancti Petri" a wide range of water activities for the amateur and sport lover, apart from sun and beach. The town hall being concious of this promoted the constitution of the "Estación Náutica Bahía de Cádiz", an entity to improve the offer for water sport activities. 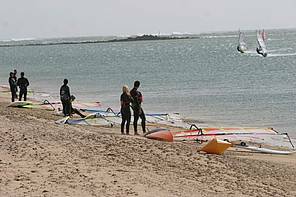 The Club Náutico Sancti Petri of Chiclana offers water sport too. 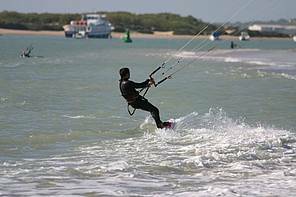 You can find all the necessary information regarding water sport in Chiclana as follows. Approved Boat License Centre (PER and PNB: Coastal an Bare Boat Skipper. Theory and practice). Professional maritime training, boat hire with or without skipper. Boat sale, hire, transfer and maintenance service. 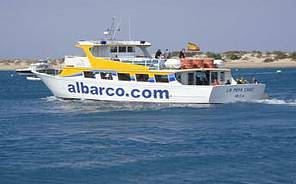 Boat trips through the Bay of Cádiz Nature Park, to the Castle of Sancti Petri and along La Barrosa Beach. Kids party "Pirates aboard". Sailing boat tours. Nautical activities such a group excursions, business meals and parties, family and friends celebrations, charters, congresses and events. Departures from Sancti Petri marina. Deep sea fishing, trolling. Bathymetry works. Poblado de Sancti Petri, s/n. 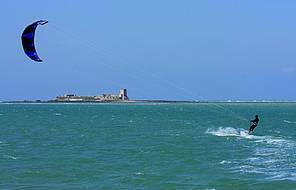 Boat trips to the Castle of Sancti Petri and into the Bay of Cádiz Nature Park, along the coast...... Water adventure activities, sailing excursions. Boat hire and trips. Sunsets. Parties aboard(stag and hen parties). Fishing trips, deepsea fishing, fishing for kids. 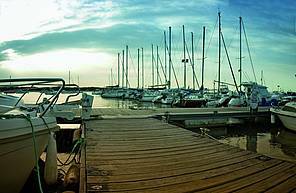 Sancti Petri marina. Apartado 363. Boat trips to the Castle of Sancti Petri. Boat trips, scuba diving trips, sports fishing, whale watching, windsurf and bodyboard, adapted diving courses, kayaking, wakeboarding, kitesurfing, banana ride, surfing, sailing, canoeing, paddle boats, wáter-skiing, activities on the beach. Canoe routes in the Nature Park, canoe hire.Boat trips, sailing. Boat rental. Wakeboard, water-skiing. Sport fishing. Trasfer to the Sancti Petri castle. 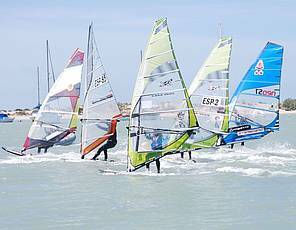 Sailing, windsurf and kitesurf courses. Guided kayak tours in the Nature Park and to the Castle of Sancti Petri. Surfing and windsurfing equipment hire. Kayak and catamarán hire. Dinghy trips. Group activities. Hiking. Activities on the beach. Banana riding. 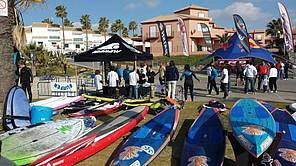 Courses: surf, sup y kitesurf , guided routes. Avda. del Atlántico.Centro Comercial El Pino, local 4. Surf courses and activities for children , equipment hire and shop. Cursos de surf, bodyboard, sup y kite. Alquiler de material. Actividades para grupos y centros escolares. Kitesurf courses and equipment hire. Surfing and SUP courses. Material rental. Bellamar shopping area, upper floor - local D.